Government of Ireland. Human Rights Commission Act. (2004) Dublin: Stationery Office. Government of Ireland. Copyright and Related Rights Act. (2001) No.28/2000, s.191, Dublin: Stationery Office. EU publications (European Commission, Date) EU publications REF: Name of EU Institution (Year) Title. Place of Publication: Publisher. Example: (European Commission, 2003) European Commission (2003) Making globalisation work for everyone. Luxembourg: Office for Official Publications of the European Communities. Circular (Department of Education and Science, 2005) Department of Education and Science (2005) Organisation of teaching resources for pupils who need additional support in mainstream primary schools. Circular SP ED 02/05. Dublin: The Stationery Office. Government of Ireland (2015) Technological Universities Bill. Dublin: Stationery Office (No 21 of 2015). BSI example (British Standards Institution, 1990) British Standards Institute (1990) BS5605: 1990 Recommendations for citing and referencing published material. Milton Keynes: BSI. Standard: example 2 (International Standards Office, 1998) International Standards Office (1998) ISO 690 - 2 Information and documentation: bibliographical references: electronic documents. Geneva: ISO. British Standards Institute (2005) BS8103-2: 2005 Structural design of low rise buildings: Part 2: code of practice for masonary walls for housing. London: BSI. Available at: HSI database [Accessed 18 July 2013]. Patent example (Cookson, 1985) Cookson, A.H. (1985) Particle trap for compressed gas insulated transmission systems. US Patent 4554399. Patent: Retrieved from a database example (Mccallum, 2008) Mccallum, J.M. (2008) Method for and composition of excipient suitable for use in herbal formulations and formulations derived therefrom. 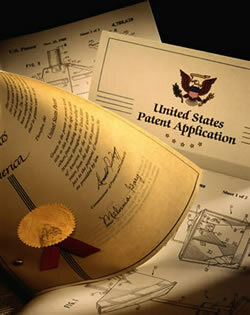 Australian Patent AU 2008100919. Available from: SciFinder Scholar [Accessed 8 December 2008].